A couple of years ago I listened to one of those Great Courses lectures on St. Francis of Assisi. I patiently waited through all the talk about his early beginnings, his military experience, his illness, his rejection of society, and his eventual creation of a new order. Most of it was dry and rather matter-of-fact. Where was the meat? Where was the mystical Francis I’d heard about? Where were the stories, the hagiography, that made Francis one of the most loved and recognized saints of all time? I walked away from the lectures shaking my head in disappointment. It wasn’t until later that my reading caught up with the reality. I had been very naïve believing a history and art professor would ever broach the subject of mystical experience. It wasn’t done; even an academic degreed in comparative religion would shy away from this discussion. How sad because isn’t that what many of us hunger for? Francis has whispered from time to time to me. A statue in someone’s garden, the visit of the Pope this fall to Assisi, a well-known spiritual teacher planning a workshop there, St. Francis hospital visible from my new house. Then recently, Pope Francis was proclaimed Time’s Man of the Year. Francis is present in ways he hasn’t been in a long time. What can a twelfth century saint have to say to the modern world? Maybe a lot. Let’s dispense with the relevant historical details (and don’t worry it won’t take twelve lectures) to seek out a deeper meaning for Francis in our time. Francis was born Giovanni di Pietro di Bernadone around 1181. Born into a wealthy merchant family, he enjoyed all the advantages of his station and even went off to war fighting for Assisi. 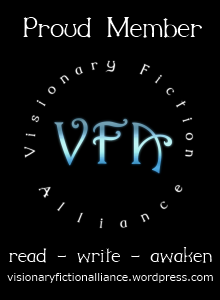 Some kind of vision compelled him to return home where he subsequently lost his zeal for the kind of life he’d been previously living and he began to reject it. He left his father’s silk business, took to serving the poor and lepers, and gained a following. Francis eventually went on to found the Order of the Friars Minor, the Order of St. Clare, and the Third Order of St. Francis. It was in San Damiano that Francis had a powerful mystical experience which was to frame his life’s work. While praying before an icon, he had a vision of Jesus who spoke to him and said, “…go and repair My house which, as you can see is falling into ruins.” Francis’ interpretation resulted in him raising money to repair the physical church he was in. Of course, Francis’ mission was not a literal one and called him instead, to restore the institution of the Church. Although never ordained, Francis’ calling was manifested in a simple life of poverty emulating the life of Christ. His followers were “To follow the teaching of our Lord Jesus Christ and walk in his footsteps.” He was devoted to his spiritual practice and at times would withdraw from life to develop it. 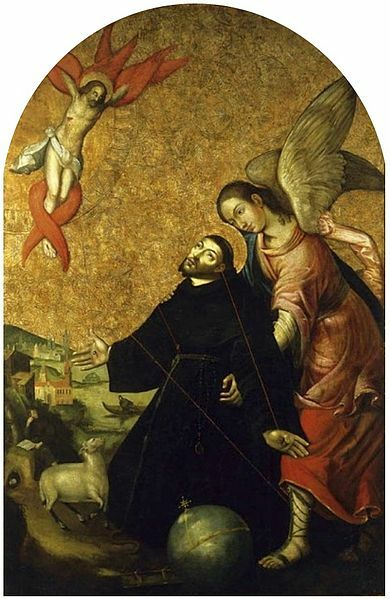 He had guiding visions throughout his life, was seen levitating, and was the first recorded person to receive the wounds of Christ (stigmata). Francis was a mystic, but he was also a mystic who brought back what he learned and shared it. St. Francis leads the wolf of Gubbio. Two of the most widely known miracles told about Francis involve his ability to work with animals. In the town of Gubbio, a wolf threatened the townsfolk. Francis intervened and made a pact with the wolf. Thereafter, the wolf remained peacefully near the village and the people fed it. The other story concerns an incident where Francis was trying to preach over the noisy chatter of swallows. He asked the birds to be silent and to the amazement of the crowd, they did. That famous story is the reason why Francis statues and art depictions often have a bird. Francis is the patron saint of animals and the environment. As we draw near to Christmas and many churches display a nativity scene (Francis is credited with creating the first nativity scene), I hope you will remember a simple saint who lived an exemplary life devoted to poverty and service. His mystical connection to the Universe (God, if you prefer) was the powerhouse of his practice. Yes, Francis is a special saint. Has anyone ever seen the movie from the ’60s, Brother Sun, Sister Moon? I saw it but it was a while ago. I think that course you took was the same one I did. You’re right, it didn’t get very deep into the mystical events Francis was known for (and were important for him becoming a “saint”). The course mentioned these things, but didn’t give them the focus that they should have. I spent 3 months in Italy last summer, close to Assisi and the places associated with St Francis. I am not a religious person, but walking the hills he used to walk and seeing where he set up his order was very moving. I wrote about it in my blog – magicspello.wordpress.com. Your post brought my experiences back – thank you. Like Saint Francis * he knew how to talk and make friends with the animals. What a fascinating blog Ellis and your career is incredibly unusual. I have always been fascinated by religion and spirituality. I was brought up in a mixed Buddhist/Christian (my father was a practicing Buddhist and my mum a Christian) household. My sister and I went to Sunday School but I later became interested in meditation and became a Buddhist myself in my 20s while I was a busker. Later I switched to Christianity which has stayed with me since although I still retain elements of a meditative lifestyle and I don’t go to church. I married in Kyrgyzstan. Did you know Kyrgyzstan, although officially Muslim, has a history of shamanism which predates Buddhism, You can still see trees adorned with strips of cloth to represent prayers, just as in Tibet. I was able to write about this in my book Infinite Blue Heaven – that title meaning the paradise that Mongolians/SIberians see where lake Baikal meets the sky. There’s a teahouse in Boulder CO that is supposed to be modeled off those in Kyrgyzstan(pretty sure). You can see the different cultures in the woodwork and painting styles. Not surprised about pre-Buddhist (Bon) influence with the silk road and how that whole area comes together. I had a look at your blog too and found we have many overlapping interests. Believe it or not, my next book (about half way, I think) is a Cathar mystery. Good to meet you, Lazlo. Continued success with your books. You too. maybe we can swap guest posts some time? Let me know what you have in mind. You can email me at himalayaspencerellis@yahoo.com. Facsinating post! Feeding me inner history geek, thank you! Have prayed to St. Francis and have seen his work first hand. He never stops giving.wonderfully written post. Happy, healthy 2014 to you, Maureen! 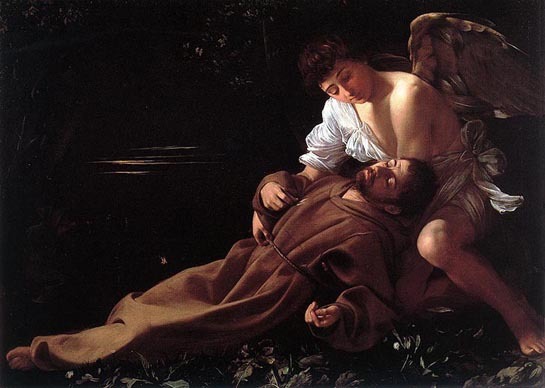 Great blog on St. Francis. Just a few years ago I became Catholic and in part of the process I picked the name Francis for my name. Going into 2014 I have many great ideas, thoughts, plans, etc. The timing of this blog was wonderful. Reminds me to keep things in perspective, remain true to myself and my spirit, and that I truly am here to serve others. With all the clout of daily media and typical American living/marketing, it’s easy to lose sight of the real importance. Thank you so much for posting this. Thanks Nate! A happy and healthy 2014 to you. Nice article. I have yet to do much research on saints. I did get interested in Christian sects of the 1600-1700’s like the Swedenborgians and Muggletonians for quite some time, fascinating stuff. The early Christian movements such as Gnosticism, Hermeticism and Neo-Platonism also have some currency with today’s information / scientific orientated society and could teach the religious zealot a thing or two about what a religion should be used to benefit, not profit but knowing (gnosis). Any man who inspires patience in the world of take & take some more is worth the time of day. Lets take a leaf from his olive branch to chew on. I know two people who feel a special relationship with St. Francis and have often felt that they were in contact with him. One day while I was doing a treatment for one of them, she asked me to say who was standing at the foot of the table. I looked and “saw” an image of an extremely tall man. I was about to say that I almost never get names of entities, when I received an impression that he was St. Francis. So I told her, “He says he’s St. Francis. Um, he’s very tall.” “Yes, he’s a big man,” she replied. At a later date, I told the other Francis fan about this, and said that he seemed awfully tall for a person of that time. She replied that he was known to have been tall, muscular, and athletic– how he’d been able to move all those stones to rebuild churches. So I guess I’ve been privileged to meet St. Francis. No messages or anything, though, just a pleasant impression. THanks for sharing this. He is one of my favorite of the Saints – and Happy Holidays to you too! I enjoyed this post very much, and he is my favorite saint. Wishing you and your family a beautiful and happy Christmas and a lovely holiday season. always he touches my heart. Great post! Great, thank you. When I was involved in the Sacramento Storyteller’s Guild, I told the Wolf of Gubbio tale more than once. I cannot remember the title but I had a translation of the account of his life and deeds that was penned shortly after his death. His church certainly needs rebuilding in these days, and the new pope is off to a wonderful start in that direction. I love the wolf story! I just learned it for the first time in the spring when I was learning about Francis a little bit. And I love his nativity scene idea. What a cool thing that would have been to see–especially for the first time. It seems weird to me that anyone would really teach a history of Francis if they left out the spiritual parts . . . I know. But there is serious discomfort in the academic world with the spiritual/mystical. Excellent post Elllis very well written with so much Heart. Of all the Catholic saints, and stories that still impact my Pagan life, Francis of Assisi remains the top. I didn’t get the dry lectures: My favorite uncle was a member of the Third Order of St Francis and shared his relationship with me, even taking me to Mt Greymoor. Pope Francis does remind me a great deal of the saint, and I hope he can refurbish the Church, even if it is no longer the path I walk. In our recent trip to Italy, Lynden and I spent so much time with his robe and rope sash in one of the churches there that we could feel him pouring into our hearts. We came a way fused, as though I had become even more of a mystic, gentler, more aware. As though we could now commune with Francis wherever I went. It was not just amazing, but transforming. Beautiful! Great reminders and an informative post. Great art / historical images too. Thank you for sharing. His relationship to nature always fills me with joy… I love this guy.. Canticle of Brother Sun and Sister Moon is beyond the traditionally religious and speaks of a time when humanity may find peace with nature. Yes, I agree. I hope people will go read the Canticle to see how it speaks to us today. Wonderful. As I watch the news of the Syrian people fleeing their home country and facing inadequate housing, limited food and loved ones still in harm’s way, I wonder how they endure it. How the little children subjected to this cruelty manage to smile or not even flinch as bombs go off around them. Your post on Saint Francis reminds me that life is not complicated at all. Appreciate the small things, show your gratitude by giving to others if you can and take care of all creatures, including animals. Thank you. What a gift this reminder is. I’m so glad it touched you! Wonderful Ellis! St. Francis holds a special place in my heart. I sit in awe of Pope Francis. Could it truly be? Blessed indicators abound. Thanks for this inspiring post. Happy holidays, Nancy. Blessings for 2014!